The solar tax credit has been with us since 2005. In its current form, it provides a 30% tax credit for the installation of a solar system to generate electricity or for a solar hot water system. This allows a homeowner to directly subtract 30% of the system’s cost from his or her final taxes owed. That’s a dollar-for-dollar reduction in taxes due. Real money. The credit is slated to be reduced at the beginning of 2020. To qualify for the full 30% credit, a system installation must be completed by December 31, 2019. In 2020, the tax credit will be reduced to 26%. In 2021, it will be reduced again to 22%. At the beginning of 2022, the tax credit will no longer be available with the exception of a 10% credit for commercial installations. 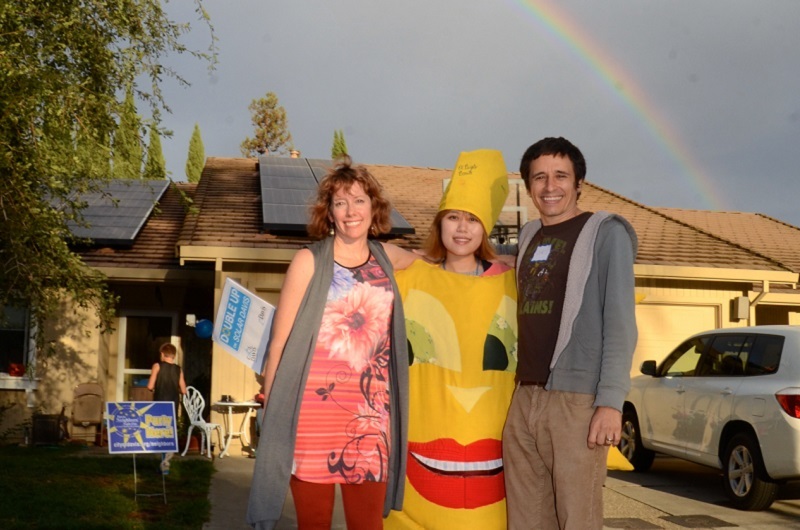 The credit has helped many homeowners go solar. In Davis alone, there have been 3,592 rooftop solar installations as of Dec 31, 2018. Visit the Cool Davis Rooftop Solar web page for more information (tinyurl.com/gosolardavis). To take full advantage of the credit a homeowner must file an IRS form 5695 with their federal tax filing. Based on the average size solar system, the credit is worth more than $5000. If you are not in a position to take advantage of the full credit by the end of this year, you can carry over the unused credit for five years, though it is not clear whether a credit can be carried over after the tax credit expires in 2022. A solar installation begins to save you money on your electrical bill the moment it is hooked up to the grid. Now is a good time to look into the benefits of a rooftop solar energy system. 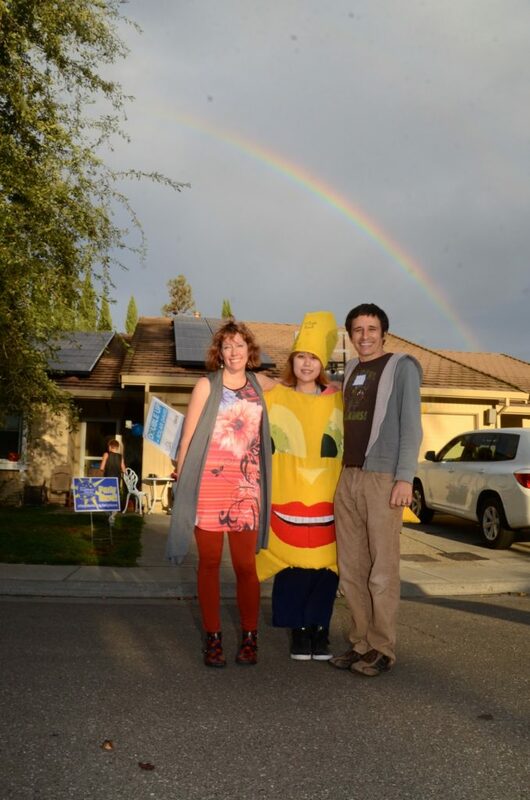 Davis resident Elizabeth Wisnia and her husband celebrating their solar system with Cool Davis mascot (and volunteer extraordinaire Mengmeng Fang) during the City of Davis Neighbors Night Out 2017. Photo credit Johan Verink. Cool Davis Rooftop Solar web page (tinyurl.com/gosolardavis).